I read this in a single sitting, although to begin with I wasn't sure I'd finish it. The first 30% bored me a great deal and it seemed to be going nowhere. There's a lot of superfluous stuff at the beginning that neither enhances the plot or the characters. I carried on though and was rewarded with an incredible experience. I've experienced the book twice before: the first at school where I didn't read it, and the second time was during a course where I had to read and refer to specific sections. So, this third attempt was really the first time coming at it as a book to be read rather than studied. And that made a huge difference. As did my age. I really feel like this is a book that is ill-suited to schools. Granted, some kids might get the themes and be able to relate, but I really think a unique perspective is gained by being of a similar age to the protagonist, Nick, who turns 30 during the course of the book. I for one found myself relating a great deal to Nick as I read through the first parts of the book. 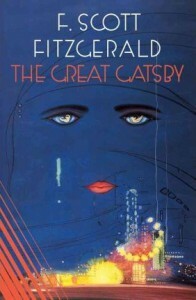 Later, as he crosses that threshold, which also coincides with Gatsby's revelations, I found myself right there in the book, in place of Nick, thinking the same thoughts and experiencing the same pains. I'd have given it a five stars for the utter genius of this book, but the start was really hard going for me and I don't think added a great deal to the story. Either way, this one of the few classics that I can genuinely say I agree with its status.